Estimates of the prevalence of motion sickness varies, from 3% to 60%, depending on the study. Many researchers believe almost everyone suffers from motion sickness, given strong enough motion stimuli. Women and children are generally more at risk for motion sickness. The most well known and popular is Dramamine, an over-the-counter antihistamine that works to decrease sensations of nausea, vomiting, and dizzyness. It is effective for cases of motion sickness that are intermittent and uncommon. The drawback of Dramamine is that it causes drowsiness. There are newer low-drowsiness formulations now, but because it is closely related to Benadryl, it will cause some degree of sleepiness. This may actually be an advantage for long airline flights, but not so much with shorter van rides or boat rides. Another effective prescription pharmaceutical is Transderm-Scop, which is a patch worn near the ear and is effective for up to three days. It is an anticholinergic that works to reduce nausea, vomiting, and dizziness associated with motion sickness. Some of the side effects include dizziness, drowsiness, or blurred vision. My former wife used this, and it was effective for air travel and car rides. It was not effective for seasickness for her. She also had dizzyness and “loopiness” (as she describes it) when using a full patch. She has experimented a bit, and now cuts the patch into quarters and uses that. She also places it a bit further from her ear. This may be an effective way to control dosage; my wife is 5′4″ and 110 pounds, quite small, so a full dose may have been too much. This brings up a helpful hint: try any new medications BEFORE the trip. You don’t want to experience strange side effects while on the trip, and it will allow you to experiment a bit with the meds like my wife did before going on your trip. Ginger has been used as a remedy for stomach ailments for more than 2,000 years. More recently, it has been used to treat motion sickness. Several studies do suggest that ginger is more effective than placebo in relieving the symptoms of motion sickness, particularly the cold sweats and nausea. However, other studies have reported that it isn’t as effective as pharmaceutical treatments such as scopolamine (Transderm-scop). So the literature is inconclusive. 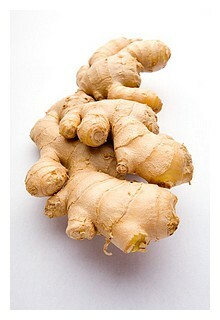 However, ginger doesn’t have the sometimes significant side effects of pharmaceutical treatments. It doesn’t causes dizziness, drowsiness, or any of the other side effects. It is also much safer. Who’s ever overdosed on ginger cookies, right? Or on ginger ale? And you don’t have to worry about interactions with other medications. It is definitely worth getting if you are prone to motion sickness. Ginger is available in tablet form, powder, and even raw ginger or ginger in foods (although not as effective, since the amount of ginger is so low). One note of caution: ginger is a supplement, thus not tested by the FDA. Therefore, there is no regulatory agency overseeing the accuracy of labels on supplements. So you can never be sure of a supplement that purports to have ginger in does in fact have ginger. Most reputable supplement makers will accurately label their bottles, but there are many that do not. Acupressure and acupuncture work under the same principles. These medical procedures trace back to the stone age in China, and are still administered by Chinese traditional medicine practitioners on billions of patients worldwide. In China, this is the dominant form of medicine, with medical schools graduating thousands of Chinese traditional medicine practitioners every year. Modern Western medicine is now starting to accept acupunture and acupressure as effective treatments for a number of ailments. This includes motion sickness. In Chinese traditional medicine, life energy, called qi, flows along meridian lines in the body. Illness is caused by blockages of these meridian lines. One way to unblock the lines is through pressure or needles at certain points in these meridian lines. The acupressure point known as Pericardium 6, on the inside of the wrist, relieves symptoms associated with motion sickness, particularly nausea. Clinical trials have shown evidence that pressure on this point is more effective than placebo (acupressure on inaccurate points). Again, like ginger, there are very few drawbacks to trying this. There are no side effects, interactions or other safety considerations. The bands are inexpensive. And it can be used in combination with other treatments. The principles behind acupuncture are the same as acupressure. Except that instead of pressure, very fine needles are used to unblock meridian lines and allow qi to flow. The idea of having needles stuck in you like you were a pin cushion seems very painful. However, the procedures are relatively painless, and can even be relaxing. 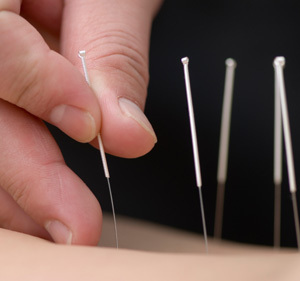 You do want to make sure that you go to a properly trained and certified acupuncturist. There are many out there who claim to be trained, but because of a lack of licensing and regulation, there are many who are not trained properly. There are not many studies that look at the effectiveness of acupuncture in the treatment of motion sickness. However, with a limited number of personal experiences, I have hopes that this is an effective method for some people. Out of three people who had acupuncture to treat motion sickness at the same hospital and physician in Bangkok, Thailand, two of them, including my former wife, had almost miraculous outcomes. She was able to ride on a boat for the first time in her life without vomiting. The effects, unfortunately, are temporary, and lasted only 2-3 months. But even with this small sample size, there seems to be some evidence that this is effective in temporarily treating motion sickness. There are other non-traditional treatments for motion sickness, everything from behavioral-cognitive therapy to homeopathy to other herbs. Not having any knowledge or experience with these methods, I cannot comment on or recommend them. One does have to be careful in the internet age, however. There are many sites that claim miraculous treatments for everything from irritable bowel syndrome to cancer to autism, so be a skeptic and really scrutinize these claims. If you do have experience with alternative methods to treat motion sickness, please feel free to comment on them. Both Dramamine and Transderm-Scop have been rigorously tested in clinical trials, and are very effective for most people. They can have some side effects, but these are not very severe. For most people, the side effects are preferable to the symptoms of motion sickness. I recommend getting one of these for the trip if you have a history of motion sickness. If you want to try the Transderm-Scop, you need to see your provider. There are some counter indications, so talk to your provider. 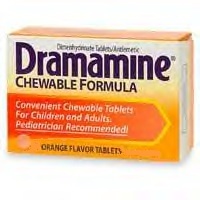 Dramamine is over-the-counter, and is available widely. It’s handy to have on you in case you have temporary bouts of motion sickness. As for the non-pharmaceutical treatments, you can try them. Ginger root is generally harmless, and can settle upset stomachs. It is would getting some ginger root supplement from a reputable supplement company. The acupressure bands are generally cheap, so they are worth trying. Acupuncture is more controversial, and efficacy on motion sickness may be dependent on the practitioner. Given the lack of professional credentialing in the US for acupuncture, I suggest you be careful pursuing this route.